As you know, directing the show of your choice for an approving audience provides unparalleled creative satisfaction. When you pursue this avocation within the context of a solvent community theatre with a supportive Board of Directors, a highly regarded talent and production team pool and a great stage facility, the whole experience becomes a joy. The Hawthorne Players offers you the optimum opportunity to pursue this creative outlet as we seek directors for our 2018 season. Our plan for the 2019 season is a straight play in April, a “large” summer musical in July/August, and a “small” musical or straight play in November. While we need to consider the expectations of our somewhat conservative subscriber base and the Florissant Civic Center guidelines, the Hawthorne Board is also committed to reaching a more diverse audience. If you are interested in directing for Hawthorne, please complete one director submission form for each show you are proposing by no later than August 18, 2018. Email your submission materials to Hawthorne_Players@yahoo.com. The Hawthorne Board has compiled the following list of shows, based partly on previous patron suggestions, as well as those we feel would be a good fit for our audiences and for our resources. In addition to your own ideas, if you are interested in directing any of these, please submit a form for each one of interest. Please do not take the submission process lightly. The group expects that when you submit to direct a show you have not only read the script, but have studied the show and developed a vision for its production. You should be willing to meet with the Hawthorne Board and be able to answer questions about language, accents, length, number of characters, their gender and ages, music, etc. You will also be expected to identify the period of the show as you intend to direct it and how your choices impact the set design, costuming requirements, and any special needs of the show.Directors, as well as most all involved, are volunteers. Budgets vary based on the show requirements. If you would like to better understand a typical play/musical budget prior to making your submission, please email us at Hawthorne_Players@yahoo.com. The Theater: The Florissant Civic Center Theater has approximately 570 seats, a proscenium stage, a computerized light board, integrated sound system, men's and ladies' dressing rooms, a green room and large wing spaces. An orchestra pit is available under the removable stage apron. The house is deeper and narrower than many community theaters. The sound system is fully functional and body microphones, floor microphones and a cloud microphone are always available for your use. If you decline to use them, you should emphasize clear enunciation and vocal projection during your rehearsal process as the house layout and our many senior patrons make being understood a challenge. A shop area is available through prior arrangements with the Civic Center. Show Selection Process: The Board of Directors will review all submissions. Depending on the Board's familiarity with the show and your work, you may be asked to meet with one or more members of the Board to review your submission. After a preliminary review, the Board will contact the holder of performance license rights to determine the availability and licensing cost of proposed shows being considered by the Board. 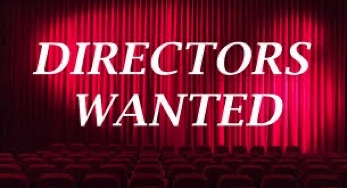 In some circumstances, the Board may contact a submitting director to gauge his or her interest in directing a show other than the show or shows submitted by the director. All directors will be contacted to advise them of their submission status, normally no later than the end of September. Our season is officially announced no later than November. If you would like more information about Hawthorne Players, please visit our website at www.HawthornePlayers.com. Hawthorne’s record of excellence depends greatly on the quality of its directors. We hope you would like to be part of this important process.